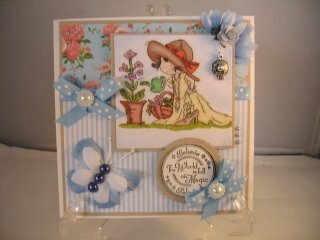 Card Inserts can help you to make your design look really special ... so when the card is done don't just leave the inside blank. 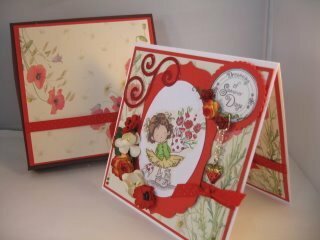 Make the inside as special as the front and follow the theme through to the insert. So! there you have your finished card and you have spent ages making it really beautiful. You stand back and admire your handy work ... but wait ... what is it that is missing? Well how about the inside of it. Have you given any thought to what you will do with that to make it look special and compliment the outside that you have created? Perhaps you have a lovely verse that you want to add that conveys your feelings to the recipient. Why not print it off onto some vellum or coloured parchment to match the overall scheme of your design. 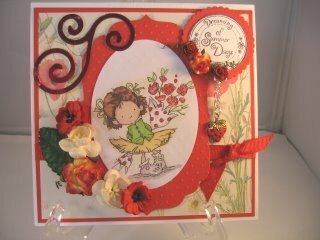 Then complete the insert with some flowers, gemstones and flourishes. Use a border punch to add more decor to the top and bottom of the inside panels. And keep the colours the same for a co-ordinated look and match the verse to the occasion. 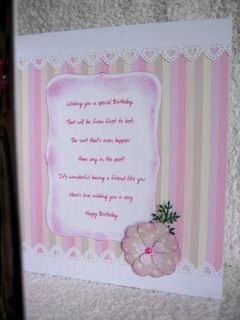 Or maybe you would prefer to just carry the theme of the card through to the inside, and use some of the papers you used for the front. The things you add to the inside can all make your card stand out from the crowd... and that is something we all want to achieve. 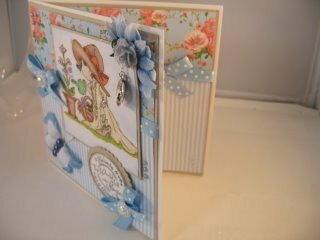 Now that you have dealt with inside and the design itself ... and if there is a lot of dimension to your card then you can always match the theme through to a box specially made for your card.